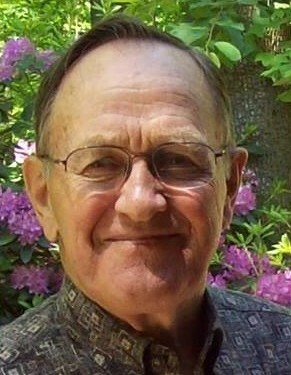 Marlin J. Geesaman, 85, of Conewago Township, Dauphin County passed away Wednesday, March 20, 2019. Born June 3, 1933 in Hershey, he was a son of the late John and Edna (Teets) Geesaman and was the widower of June (Weaver) Geesaman. He was also preceded in death by son Clifford Geesaman, daughter Colleen Geesaman and siblings Verna Gamber, Earl Geesaman, Lloyd Geesaman, Courtney Geesaman, Ralph Geesaman, LeRoy Geesaman, Lillian Keller, and Arlene Hess. A self-employed farmer and builder, he was a member of Cedar Hill Community Church, Elizabethtown, former member of Grace Chapel, Elizabethtown and former licensed minister for Gospel Crusade Ministries, Florida. Surviving are his wife of almost 29 years Nancy (Hess) Witmer Geesaman; children Wayne Geesaman, Leta Deatrick, Clinton Geesaman, Wanda Shuey and Crystal Wilson; step children Louann Lancaster, Lee Witmer, Lynn Witmer and Lori Byron; siblings Herman Geesaman, Pauline Winfindale, Martha Goodling, John Geesaman, Fred Geesaman, Ray Geesaman, and Fay Brickner; eleven grandchildren; numerous great grandchildren; three step grandchildren; and two step great grandchildren. A funeral service will be held 2:00 PM Monday, March 25, 2019 at Grace Chapel, 2535 Colebrook Road, Elizabethtown preceded by a viewing from 1:00 PM at the church. Private interment Tuesday in Bloomfield Cemetery, New Bloomfield. In lieu of flowers, contributions may be made to Newport Assembly of God, Memo: Haiti Missions, 253 North 6th Street, Newport, PA 17074.